The World Health Organization reports the percentage of obese humans has doubled over the past 30 years. Globally, obesity is so prevalent that is surpassing the burden of being a chronic disease to that of how smoking tobacco ruins healthy lives. Worldwide type-2 diabetes, hypertension (high blood pressure), and even heart disease is rising rapidly, affecting greater than 1.5 billion overweight adults and at least 400 million obese people. These global numbers are projected to reach 2.3 billion and 700 million, respectively, by 2015. There is no doubt how these statistics are occurring as 60% of the American population is regularly consuming more than 22 teaspoons of processed sugar each day. Although we possess the knowledge to avoid the consumption of processed sugar in our daily diets, we do not practice knowing how much sugar is added to the food we buy. Such as, one 16-ounce bottle of Coca Cola adds 10½ teaspoons of processed sugar. A 7-Eleven’s Super Big Gulp Coca-Cola contains 32 teaspoons of processed sugar even while being 20% full of ice. One 8-ounce Red Bull can contains 5½ teaspoons of processed sugar; similarly, one McDonald’s milkshake adds 16 teaspoons of processed sugar. A glass of Tropicana orange juice averages 3½ teaspoons of processed sugar. Starbuck’s signature Grande Hot Chocolate and Cream contains 9½ teaspoons of processed sugar. With processed sugar lurking in so many foods you have to wonder if it is just our destiny or fate to become fat, because processed sugar will make you fat. Pizza sauce usually adds it; it is in the burger bun; equally, one mere tablespoon of ketchup contains one teaspoon of processed sugar. Not to mention anything approaching the ever so sought after BBQ flavor has added processed sugar, because we all know that is the secret ingredient for homemade sauces. Vitamin water sports drinks and vitamin-enhanced waters often list processed sugar as one of the first two ingredients. Those fruited filled yogurts and jarred applesauce have slightly more sugar than a small plateful of Mint Milano cookies. I am definitely not pushing cookies in lieu of applesauce or yogurt; it is just that things you think are healthy may be to the contrary. Accordingly, reading labels is vital toward the knowledge of avoiding this white crystal as much as possible. The general rule is when the label reads sugar it is added processed sugar. The American Heart Association recommends limiting amounts of added sugars to no more than 100 calories (about six teaspoons or 24 grams) a day for women and 150 calories (about nine teaspoons or 36 grams) a day for men. 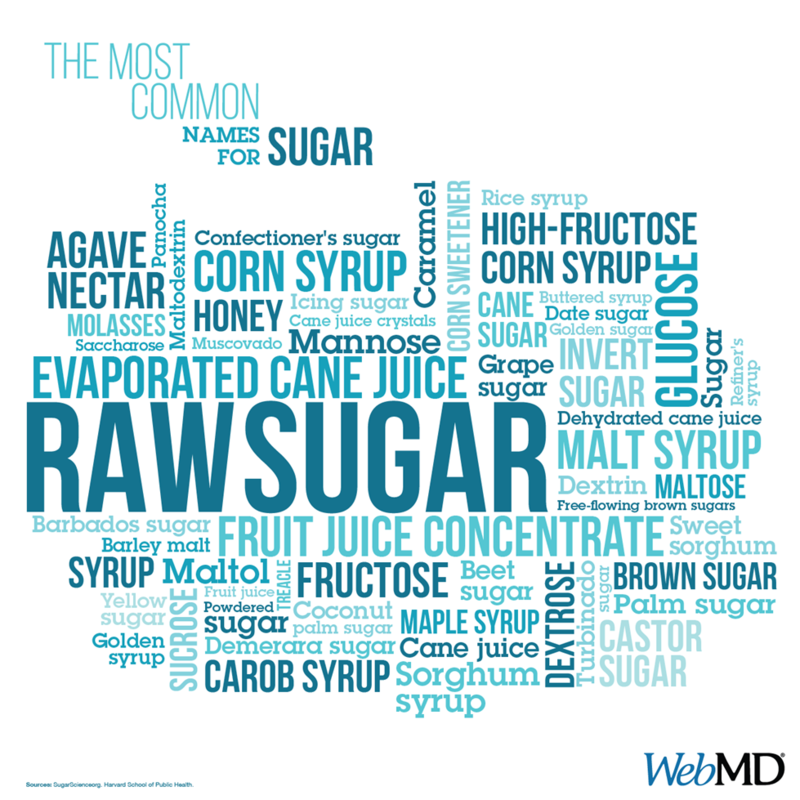 But while processed sugar is purely empty calories, some of the others have at least a little nutritional value. Blackstrap molasses, for instance, also gives you calcium, potassium and iron.